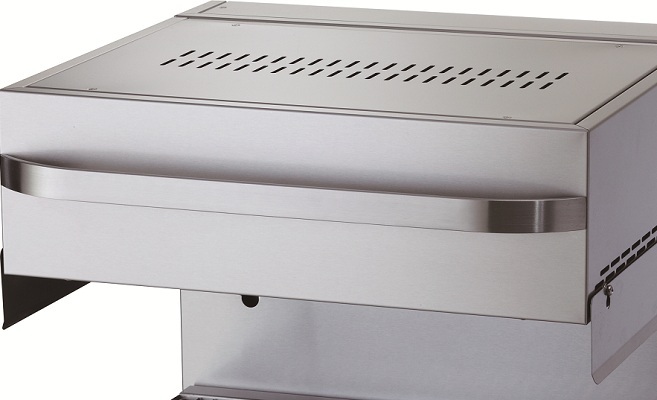 Outer case is made of stainless steel plate. 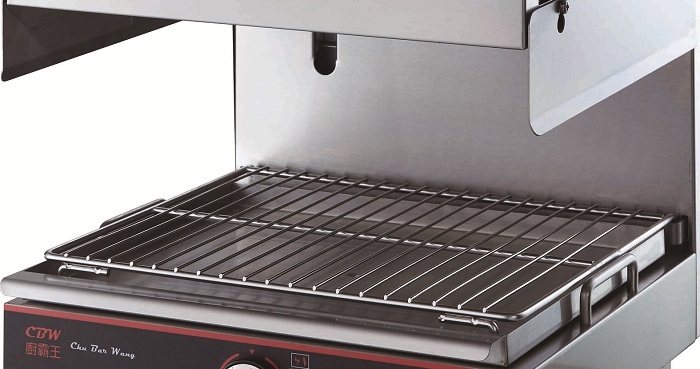 Space between the food to be grilled and heat source is adjustable. Bidirectional bearings allowing easy sliding on X-axis and Y-axis; attractive heavy duty design. Lever on the right can adjust the height of the food. Electric Salamander use seven-notch power adjustment can provide different levels of required heating. 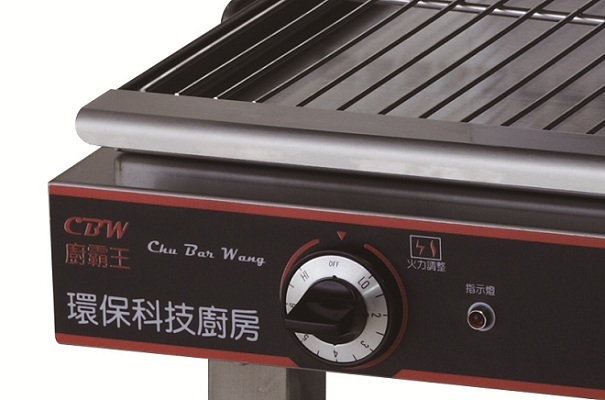 Grilling heat provided by electric heating element. Gas Salamander use infrared scale continuous heating burner speeds up grilling.